The Vue Places component allows the user to search any address in the given territory with autocomplete powered by Algolia Places. 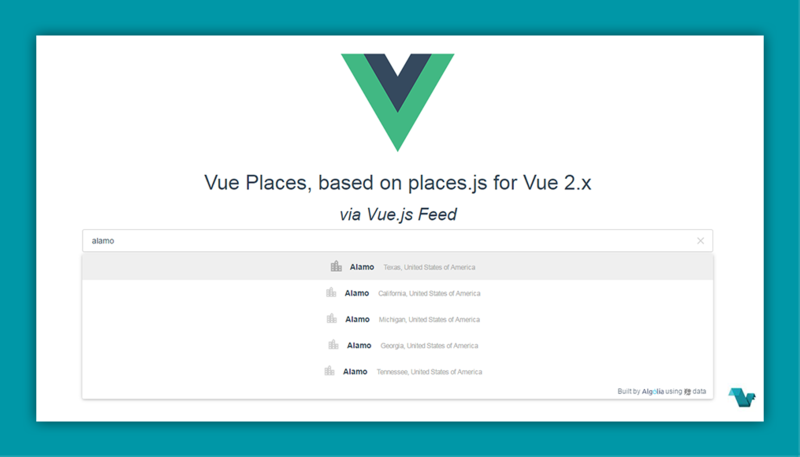 Based on places.js for Vue 2.x. <places placeholder="Where are we going ?"